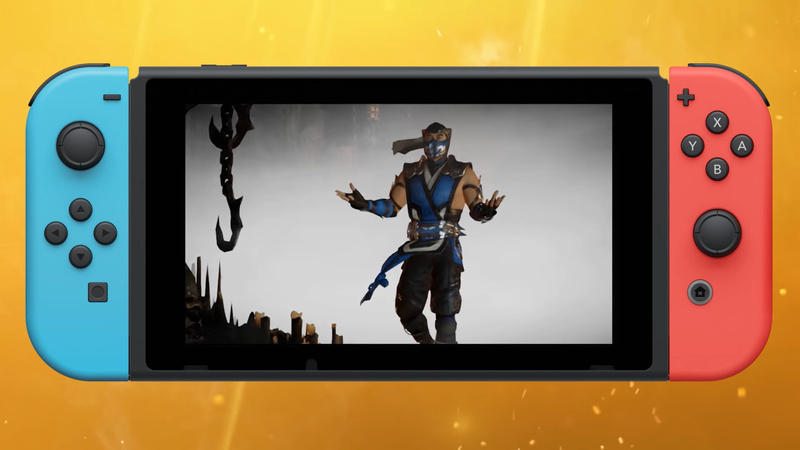 For months now, Switch owners have been begging NetherRealm Studios to share some proper footage of Mortal Kombat 11 running on Nintendo’s hybrid device. Last week, we got a measly three-second look at the game up and running on this platform and now a slightly more substantial clip has been uploaded to YouTube the week before the Switch version’s North American release. 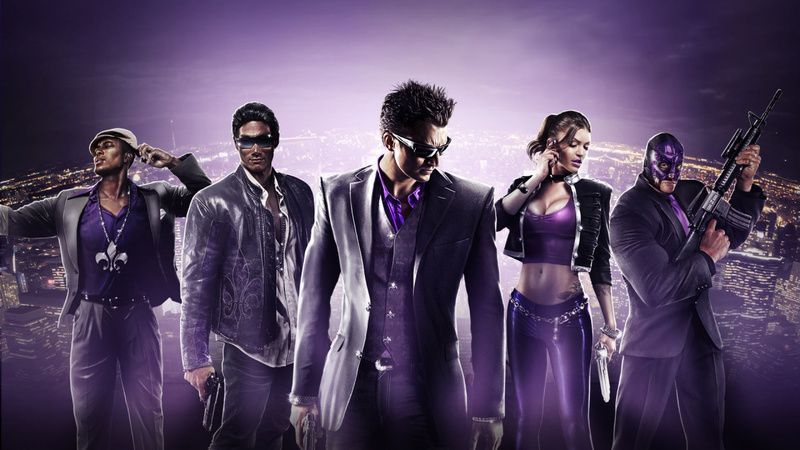 This time around it’s an actual gameplay reveal. While it’s still not quite as direct as we would have liked, and seems to be made up predominantly of cutscenes, there are enough fight scenes sprinkled in between. Even if there are no health bars on display in the below footage – we’ll let it slide, for now. On a more positive note, the handheld footage that is on display definitely looks silky smooth and the graphics appear to be surprisingly crisp. At least now we have some evidence Mortal Kombat 11 is in a playable state on the Switch. It’s a relief to finally see this after the series’ co-creator Ed Boon recently mentioned just how great it was on this particular platform. So, what do you think of this footage? Are you convinced yet? 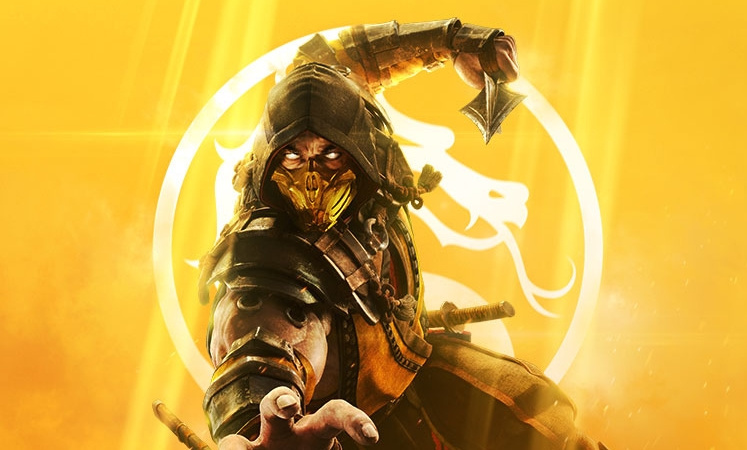 Will you be picking up the eleventh entry in the Mortal Kombat series on release? Tell us down below. If there’s one genre that truly feels at home in the interactive world of videogames, its horror. Reading a spooky tale from Edgar Allen Poe or sitting down to watch something from the ingenious mind of Jordan Peele might get your senses on edge, but feeling intrinsically part of that terror is something else entirely. It’s a unique ingredient that’s made the likes of Resident Evil and Amnesia as important to the genre as any TV show or film, but just like those other mediums, it can sometimes take itself a little too seriously. The Padre is very much a survival horror game, complete with a creepy atmosphere, an even creepier mansion and yes, you guessed it, the odd zombie creeping about. But while the likes of Layers of Fear: Legacy will aim to make you question your own personal sanity, indie studio Shotgun with Glitters wants to unsettle you and make you crack a smile. You’ll solve environmental puzzles, fight a roster of mean-spirited monsters and make time to crack a gruff one-liner or two. It’s all in a day’s work for this virtual vicar. The titular character is a man of the cloth who splits his time between clerical duties and demon hunting – you know, as you do. However, when an important cardinal goes missing, our sardonic holy man finds himself heading home to face off against a powerful evil without the comfort of his usual weapons. Will he solve the mystery and save the cardinal? 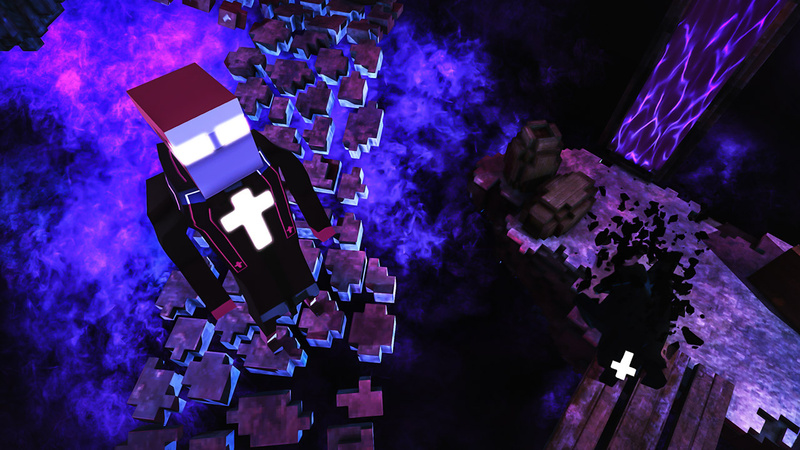 Or is our hero destined for an eternity of torment at the hands of some dodgy demons? 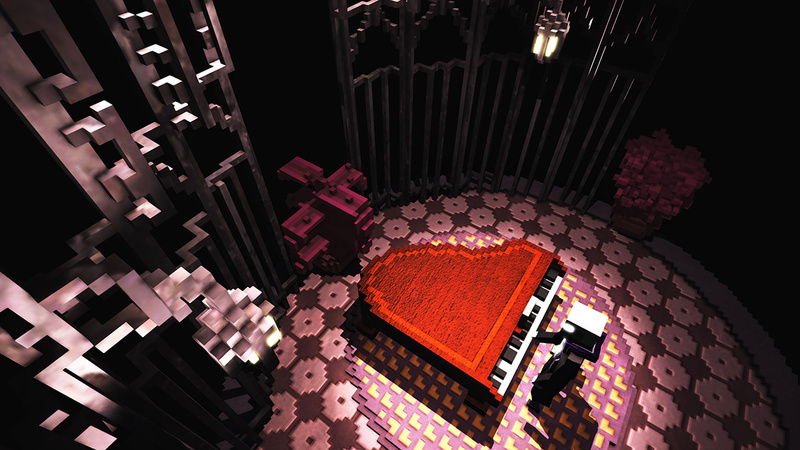 At first glance, the voxel-based graphics – which look like something built entirely out of Minecraft blocks – seem instantly at odds with the succinctly adult nature of the game’s setting and gameplay, but the contrast really works in The Padre’s favour. With some smooth animations and a suitably gloomy lighting model, the contrast makes the eeriness of its atmosphere juxtapose even further. However, that design choice can sometimes make locating certain items or switches a little trickier than we’d like – especially when searching darker areas – so some puzzles can occasionally become frustrating. While you control The Padre with the left analog stick, much of your interactions with the world are contextual. As a result, the game plays more like a point-and-click adventure where you’ll need to inspect and combine items to create weapons and tools to solve puzzles. Each new location sits on-screen like a grisly diorama, with the camera panning in and out depending on where you roam. Considering so much of The Padre’s rooms and chambers are often bathed in darkness (even with your trusty oil lamp to hand), it’s far too easy to lose your bearings. It’s an issue that really rears its ugly head when you’re trying to evade a zombie or particularly persistent demon. The wading-through-treacle speed you move at and aforementioned clunky fixed camera are clearly there by design. This is a game that wears its love for Resident Evil and other less timeless horror classics such as Alone in the Dark upon its bloody sleeves, but even as a tribute, you’re soon reminded that the world has moved on from tank controls for a reason. However, despite these issues, The Padre still has a fantastic sense of personality. The voice acting strays a little too close to the drawl of Mark Hamill’s Joker at times, but the result is a more tongue-in-cheek Max Payne where our blocky hero always has a quick quip to unleash. You’ll walk through libraries and have to dodge flying books like something out of Ghostbusters, or sneak around a zombie nanny sat reading a bedtime story. 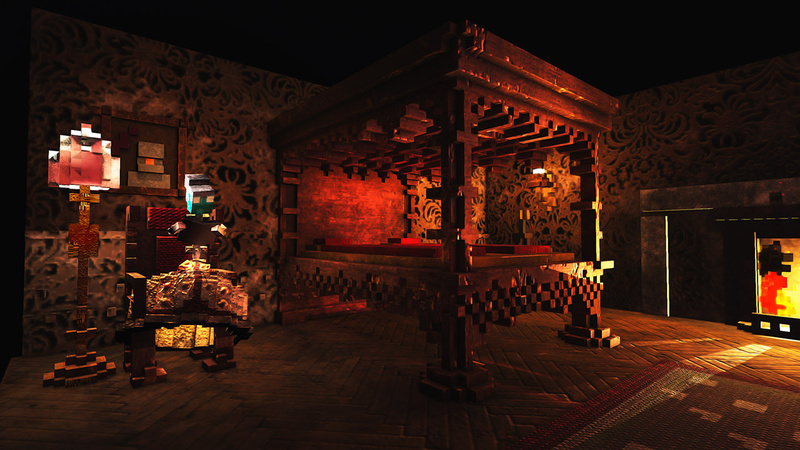 Cute little touches such as suits of armour that turn to watch you go by, only to snap back into place every time you look back at them, show just how far this little indie has come since its burgeoning years in Early Access on Steam. Combat can be a little clunky, especially when you’re fighting more powerful enemies and you’re often striking at hitboxes that tend to appear and disappear at their own leisure. You’re also often scrabbling for enough firepower to take on enemies, and when paired with your slow movement, enemy encounters soon become a chore. Which is a shame, because there are some really interesting enemy designs to battle/evade in voxel form. 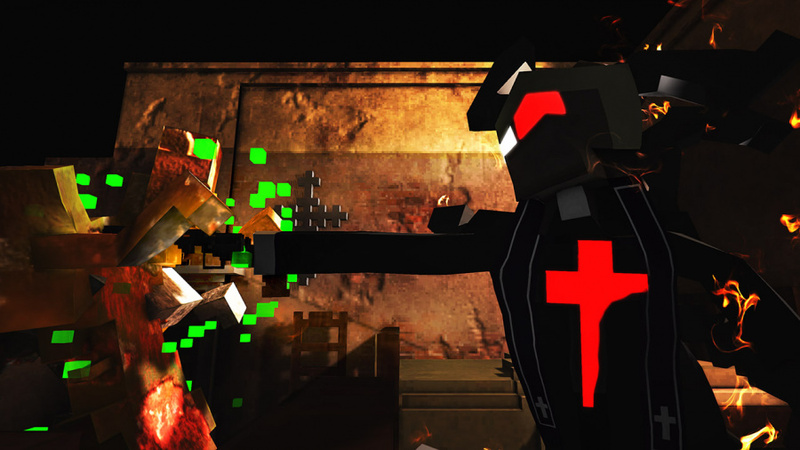 While The Padre is a far from perfect indie offering, its mixture of satisfyingly challenging puzzles, a dark sense of humour and a perennial love for classic survival horror makes for an intriguing addition to the genre. The issues with combat and the sometimes infuriating nature of its puzzles can grate, but with a little extra polish The Padre has the potential to be a real hidden gem on Nintendo Switch. Update #2: We’re hearing reports that while the version of Final Burn Alpha emulator that ships with the Capcom Home Arcade stick has been properly licenced, some of the developers currently involved with the software haven’t been contacted. Initially, reports suggested that FBA was being used without permission, but that doesn’t seem to be the case. 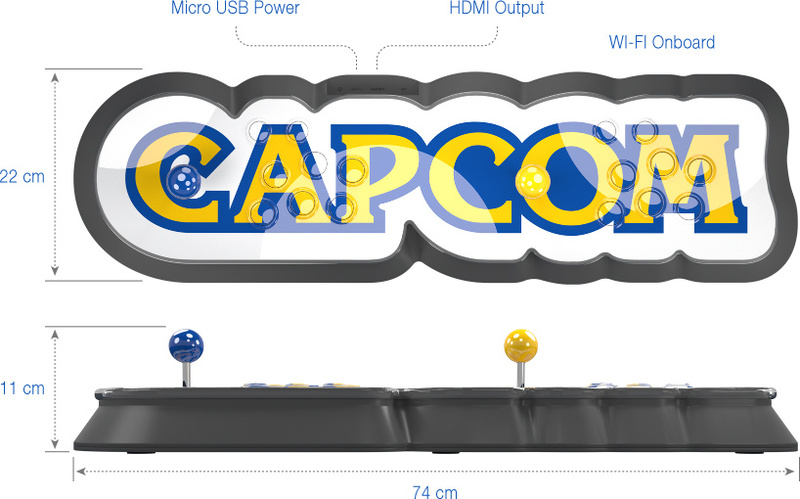 Update: Confirming the details from our source, Capcom has announced a new plug-and-play arcade stick packed with classic Capcom arcade games that plugs directly into your TV, launching on 25th October 2019. 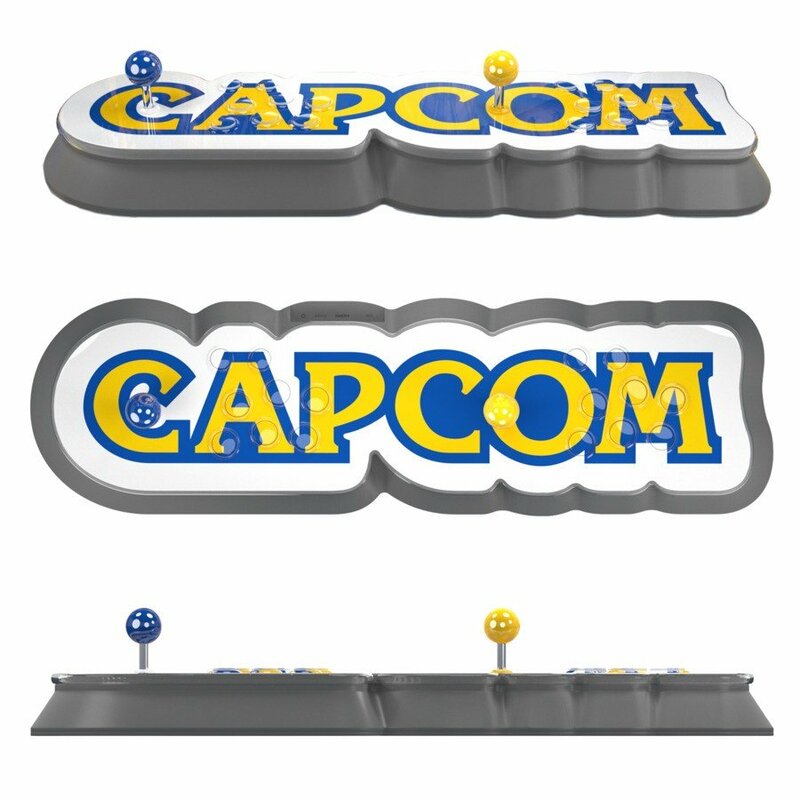 They call it the Capcom Home Arcade and there’s little doubt as to who’s making it, as you can see from the trailer above. Featuring a pair of competition class Sanwa JLF-TP-8YT sticks with 8-way GT-Y directional gates and OBSF buttons for the finest precision, response times and durability. 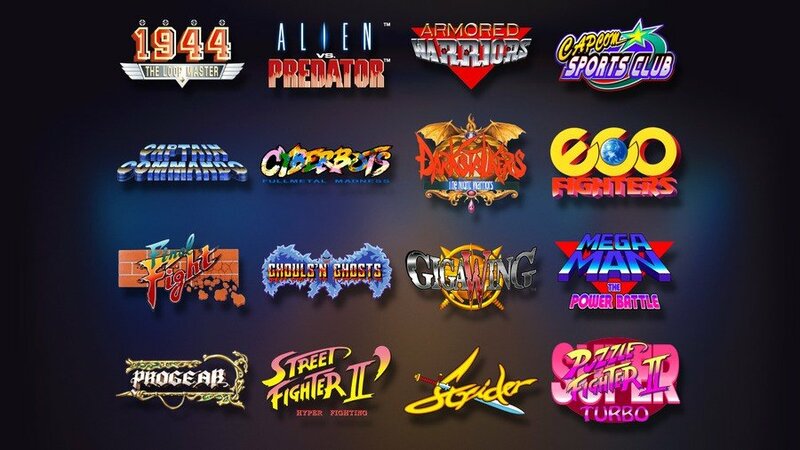 The 16 pre-installed games are from the original Capcom CPS1 and CPS2 arcade ROMs with emulation provided by FB Alpha, delivering an authentic & accurate arcade experience exclusively for the Capcom Home Arcade. Break some high scores in single player, team up with a friend in co-op multiplayer or destroy them in a head-to-head battle. 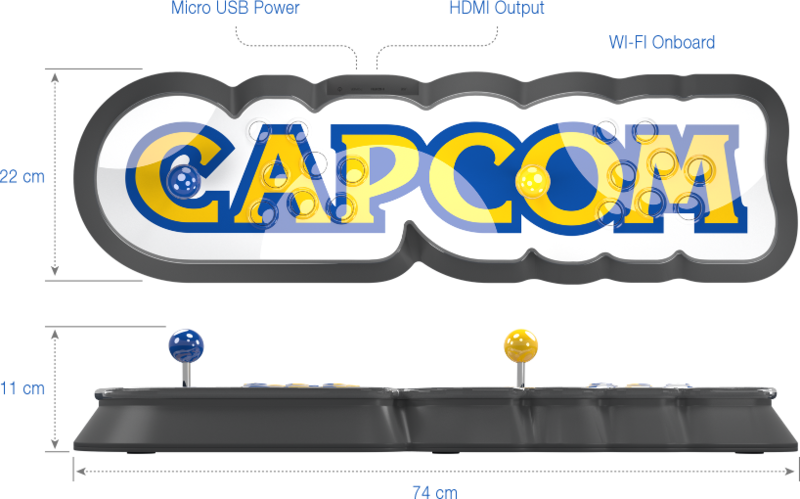 Then upload your best scores via the Capcom Home Arcade’s onboard WiFi to a Worldwide High Score Leaderboard to see how you match up against other players across the globe. Arcade fans will no doubt be over the moon to see these games rereleased and given the treatment they deserve, although it seems that that treatment comes at a price. 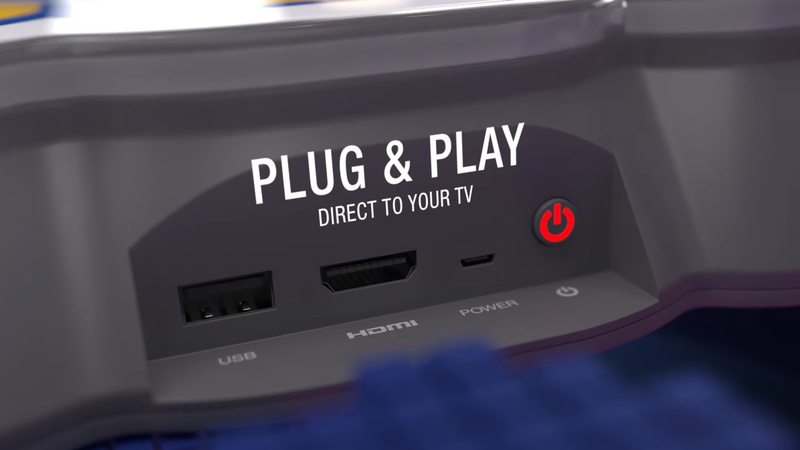 The arcade stick console will set you back a not-insignificant £199.99/€229.99. Of course, these cabinets would cost you significantly more (in money and living space), so assuming the emulation is perfect, this might still represent something of a bargain for the 21st century arcade gaming enthusiast. Rest assured that we’ll be keeping a very close eye on it come October. Original Story: Not so long ago, Capcom surprised everyone with its Beat ‘Em Up Bundle, a selection of famous scrolling fighting titles which included Final Fight and Knights of the Round. Now, it would appear that the company is following this collection up with a second compilation, this time focused on a broader range of titles. 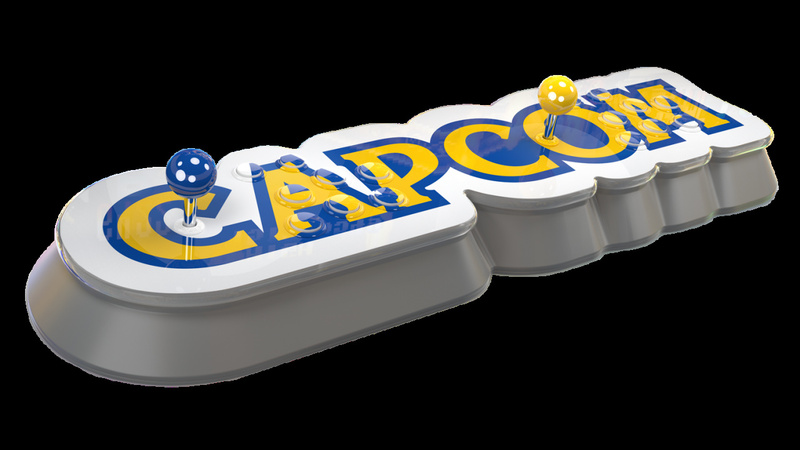 Capcom has released a trailer which shows a series of arcade titles reflected in the controls of a coin-op cabinet. From the footage, we can make out Darkstalkers, a one-on-one fighter in the same style as Street Fighter II (which is also included in this trailer). There’s also Aliens vs. Predator and Progear, two titles that have never seen the light of day outside of arcades, and Giga Wing, a shooter which was also ported to the Dreamcast. 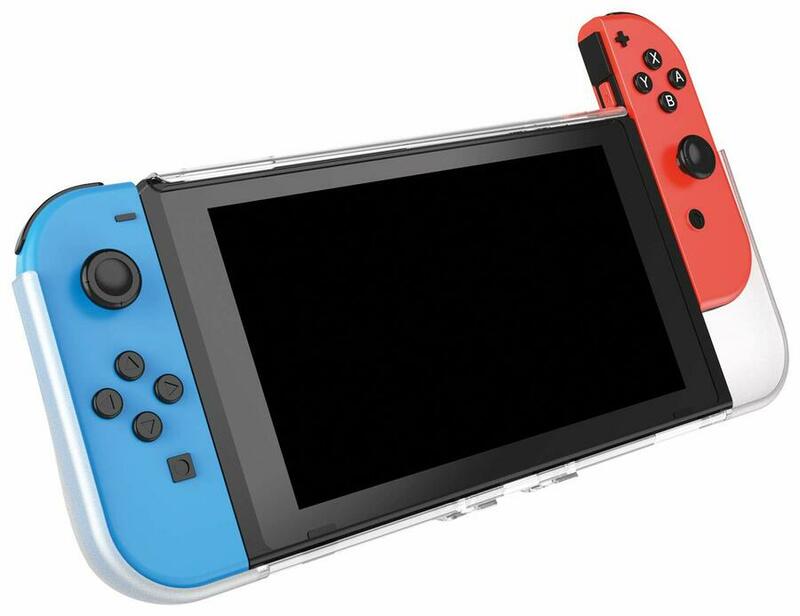 The case aims to keep the Switch and both Joy-Con controllers protected wherever you go thanks to a “robust” outer shell. 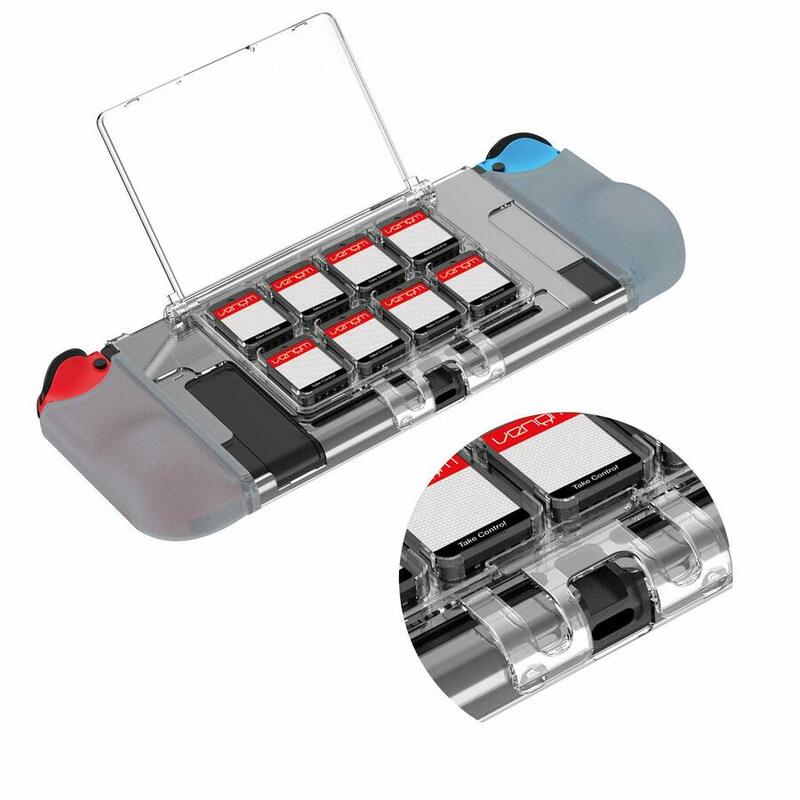 The focus here is to provide that protection while still allowing full use of the system and all controls, and it also offers storage for up to eight games should you want to take it out and about. Venom says that the case “installs in seconds”, with matte hand grips, an outer body case and a glass screen protector all included. 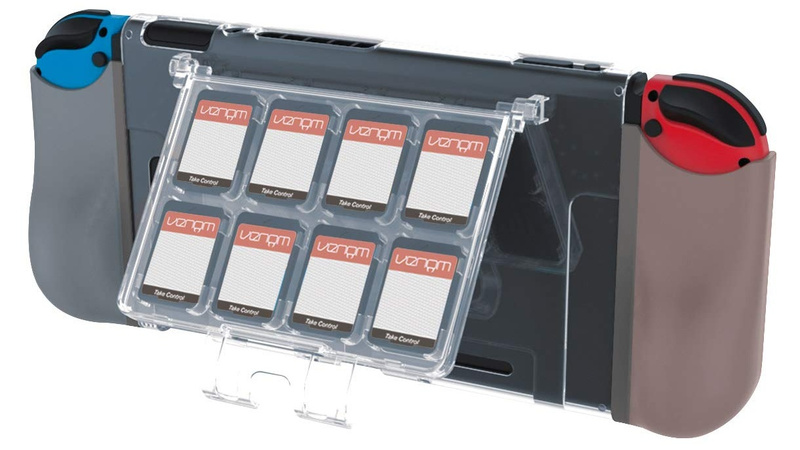 The eight games can be stored at the rear of the case, as seen in the images provided. Apparently, your Switch can still be placed in its dock – and be used in the dock – with the case still fully attached. 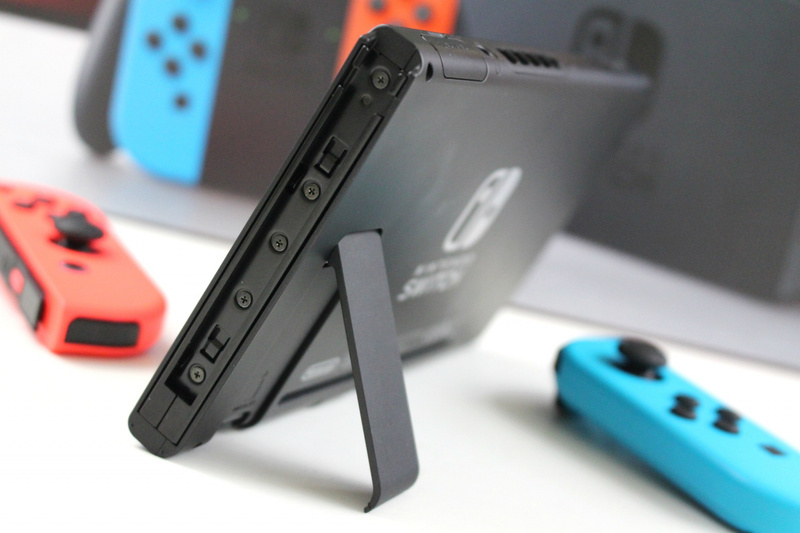 We can’t vouch for the safety of using the case inside the dock ourselves, but this does sound like a nifty feature for those who like to ‘switch’ between both handheld and docked modes regularly. If you’re interested, you can order your very own from Amazon right now for £12.99. 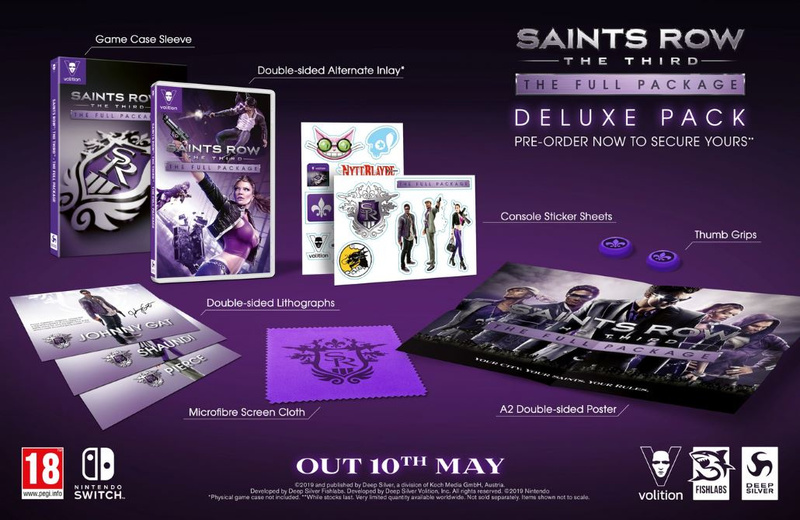 It releases this Friday, so any pre-orders placed now should arrive fairly soon. What do you think? Would you like one for yourself? Let us know in the usual place. If you missed the news, Persona 5‘s Joker is making his way into Super Smash Bros. Ultimate on Nintendo Switch today. Frankly, we’d be amazed if you have missed the news because we’ve been prattling on about it all day (you can check out more Joker content at the bottom of this article) but now it’s time to really get stuck into the good stuff. Joker’s moveset. Joker’s reveal trailer gave us our first look at the character in action, and we’ve been watching it very closely to see exactly how his moves work. So, let’s get started. Neutral Special (Gun) – For his neutral special, Joker wields a gun. To shoot continuously, you can simply press and hold the ‘B’ button or repeatedly tap it, and you can also dodge forwards, backwards, or even in mid-air while shooting. Up Special (Grappling Hook) – The grappling hook shoots out at a slightly diagonal angle and can either be used to pull opponents in closer, or to latch on to the edge of a stage. Like many up specials, this one will be useful for recovery. Side Special (Eiha) – Eiha, Joker’s side special, is triggered with a finger snap animation. The initial hit isn’t particularly strong, but it inflicts more damage over time. Down Special (Rebel’s Guard) – Now, this one is particularly fancy. 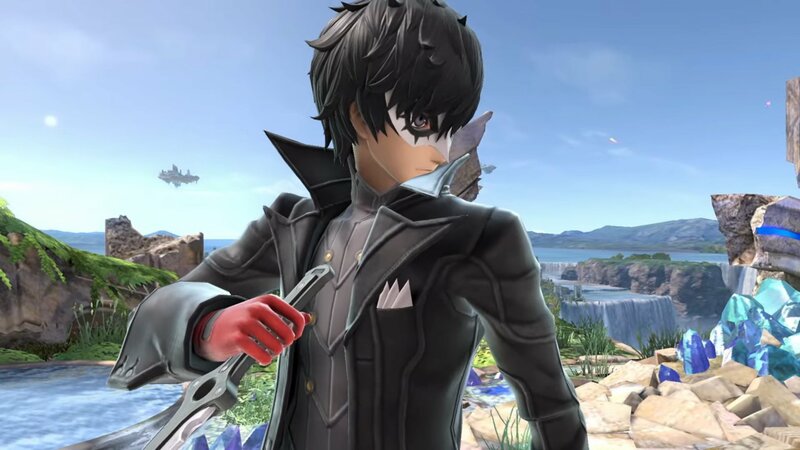 Joker has a Rebellion Gauge which builds up over time, notably when he gets hit or is behind in terms of damage or stock. By using your down special, you can fill the gauge faster, and it can also be used as a defensive tool. Your Neutral Special becomes ‘Gun Special‘, essentially handling the same as before but with the new ability to fire three bullets per shot. Up Special becomes ‘Wings of Rebellion‘. Using Arsene’s wings, you’ll swiftly move upwards, making you invincible as you fly. Again, this can be used for recovery purposes. Your Side Special becomes ‘Eigaon‘, a large blast which repeatedly hits opponents, inflicting them with longer lasting damage. And finally, your Down Special will now perform one of two counter-attacks, each triggering automatically. Melee attacks will be countered with ‘Tetrakarn’, whereas projectiles will be deflected with ‘Makarakarn’. There’s one final thing to mention, of course, which is Joker’s Final Smash. 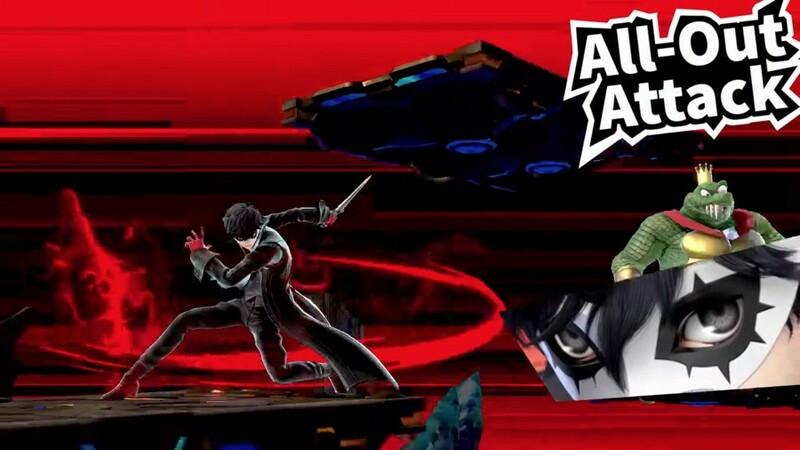 Called ‘All-Out Attack’, Joker’s Final Smash sees him cutting through foes on the battlefield. Once he’s done that, he’ll launch a coordinated strike with the Phantom Thieves of Hearts. Interestingly, if you fail to make contact initially, you can have another swing at it by tilting your control stick in the opposite direction, giving you a second chance to land the final smash. It’s worth noting that having Arsene by your side (achieved by filling your Rebellion Gauge) will not have any impact on Joker’s Final Smash. So, there we have it. We hope you find this useful if you plan to use Joker in Super Smash Bros. Ultimate. Let us know if you’re excited to get stuck in or, if you’re reading this in the future, let us know how you’ve been getting on with the character with a comment below. 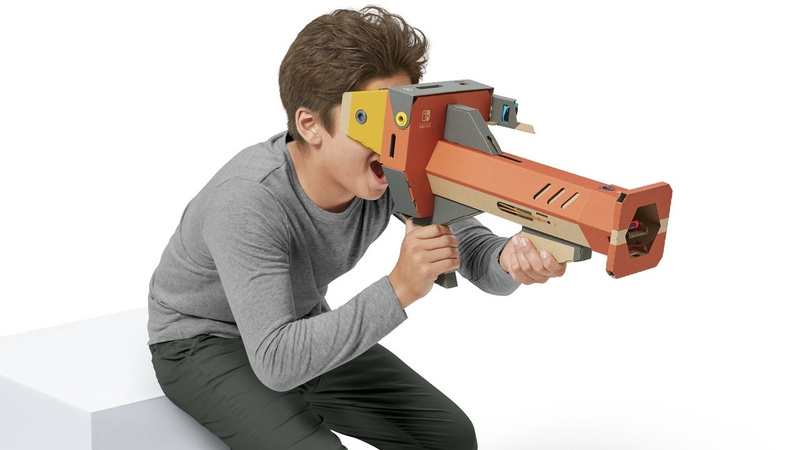 Japanese chart figures are now in for 8th – 14th April, revealing that Nintendo Labo VR has managed to enter the charts in second place in its opening week. The game managed to sell more units that this week’s other big Switch release, Final Fantasy X/X-2 HD Remaster, with Famitsu’s estimates reporting a total of 26,634 sales. This debut puts it ahead of Nintendo Labo: Vehicle Kit‘s opening week sales, but still significantly behind the sales experienced by the first two Labo kits. It was Earth Defense Force: Iron Rain which managed to take the top spot, though, with an estimated 55,573 sales. Labo VR released a day later than both Earth Defense Force and Final Fantasy, potentially causing the VR kit’s sales to look a little weaker than they might have done. Any surprises this week? 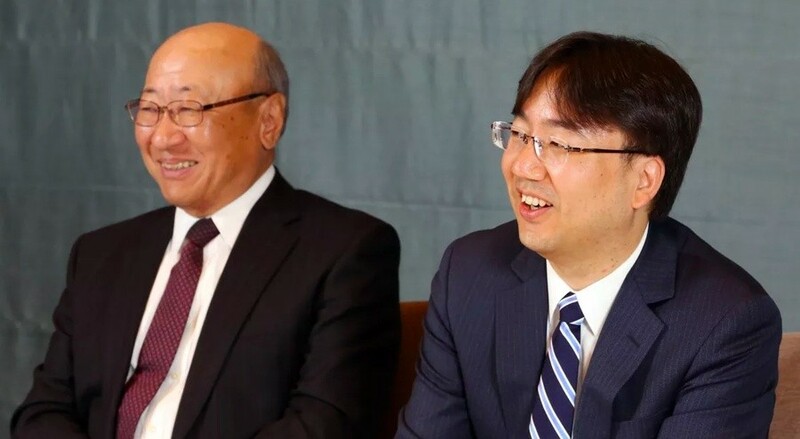 Did you expect Labo VR to reach number two? Let us know in the comments.